New Honda Exclusive Authorized Dealer Showroom Opening at Narayanganj, Dhaka. Subject: New Honda Exclusive Authorized Dealer Showroom Opening at Narayanganj, Dhaka. Bangladesh Honda Pvt. 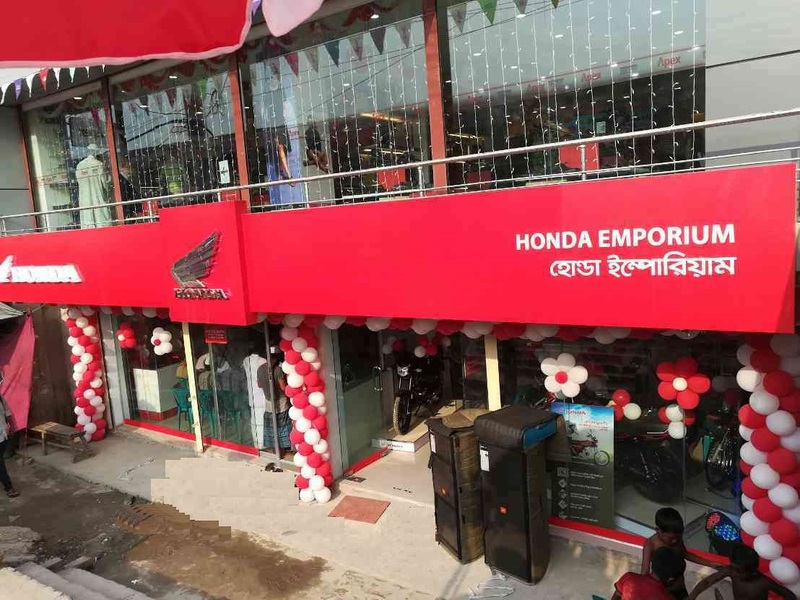 Ltd. opened a new showroom in Rabet Al Hasan Shopping Center, Bhulta Bus Stand, Golakandail, Bhulta, Rupganj, Narayanganj on June 7, 2018 under the dealership of Honda Emporium. The showroom is new and will help the people of Narayanganj to get Honda all model bikes, service and spare parts from this showroom. “In Bangladesh, it is also our aim to be number 1 position by providing the product with the excellent fuel economy, good design and reliability and 3S service by our dealers. It is our wish that Honda Emporium will be No.1 dealer in Narayanganj area by providing the outstanding services which exceeding customer expectation and we BHL will extend our every effort to realize such wish.” said Yuichiro Ishii, MD & CEO of Bangladesh Honda Private Ltd.